Imagine waking up to just the light sound of birds in their morning chirp and all else is silent. The air is refreshing as the sun rises casting its light on the sandstone mountains of Wadi Rum. 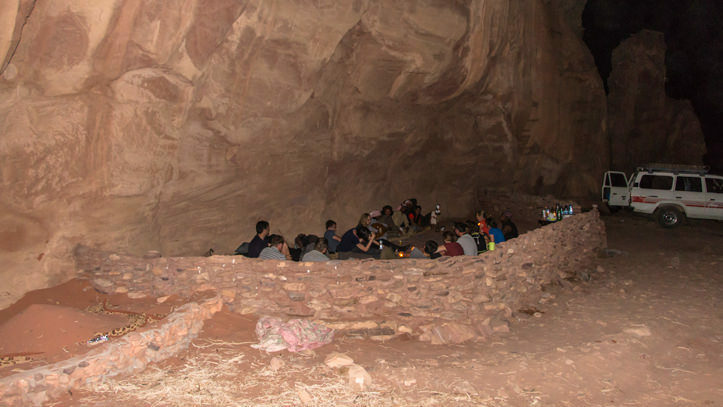 It is a unique opportunity to sleep in a ‘cave’ in the desert. 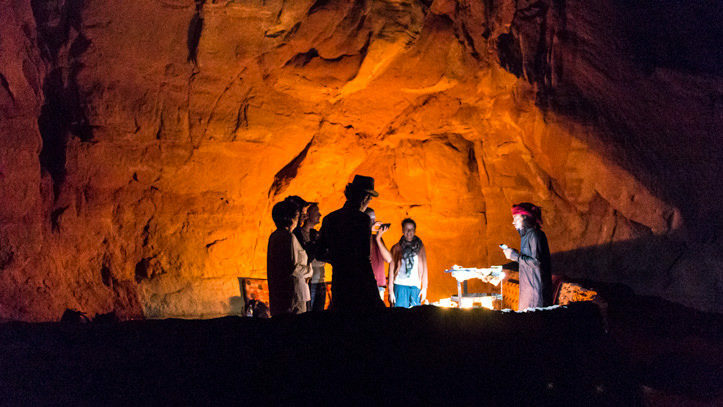 And for sure a night in the desert will be the highlight of your visit to Wadi Rum. 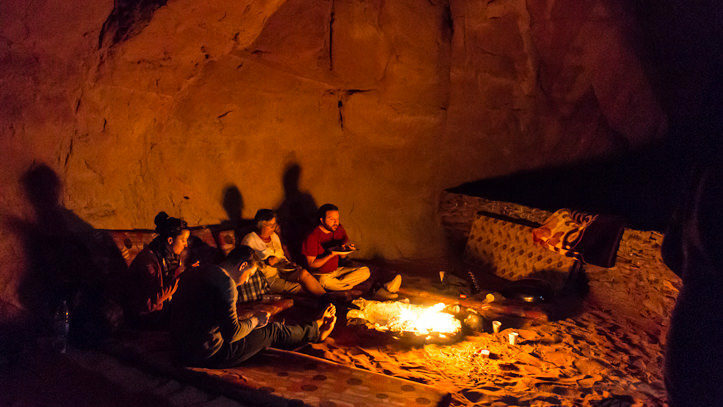 Spending the night in a ‘cave’ is as close as you can get to how Bedouin in the past used to spend their nights when travelling with their camels. And how Bedouin these days still love to spend their nights out in the desert. After your day tour, we drive to a ‘cave’. The cave is more an overhanging rock that protects us from sun, rain and wind. 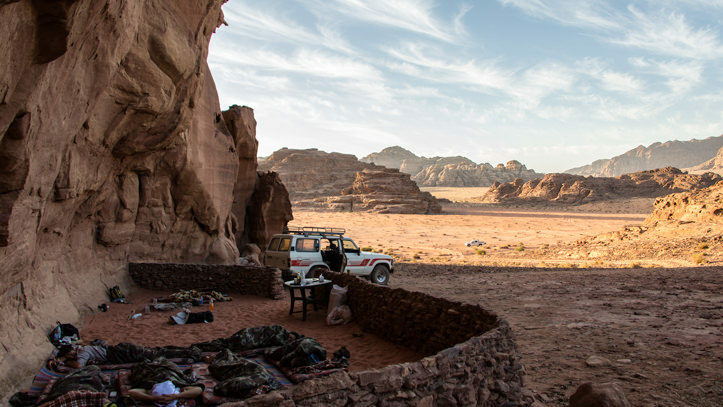 Besides our own ‘cave’ we have a couple of other locations where we do bivouac camping. Where you will sleep depends on your tour program. And during the high season also on which place is available. 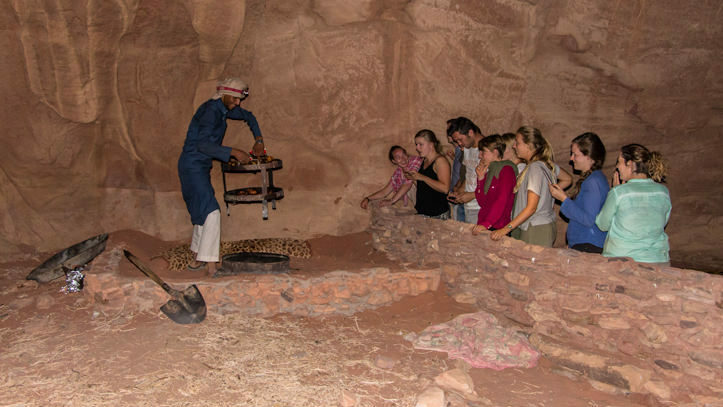 Once we arrive at the ‘cave’ we cook you a traditional Bedouin dinner. 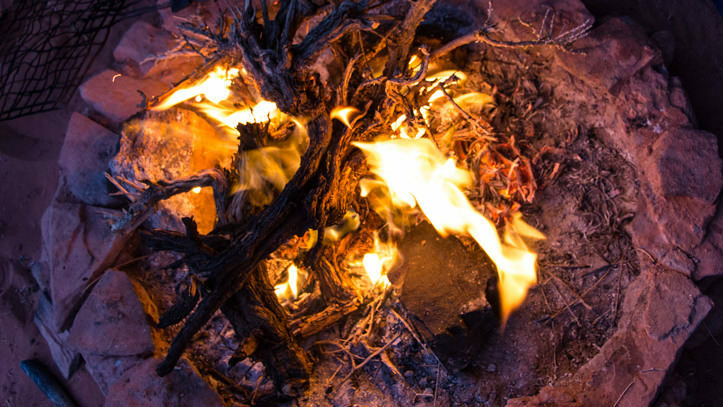 Afterwards, you can spend the evening around the fire. 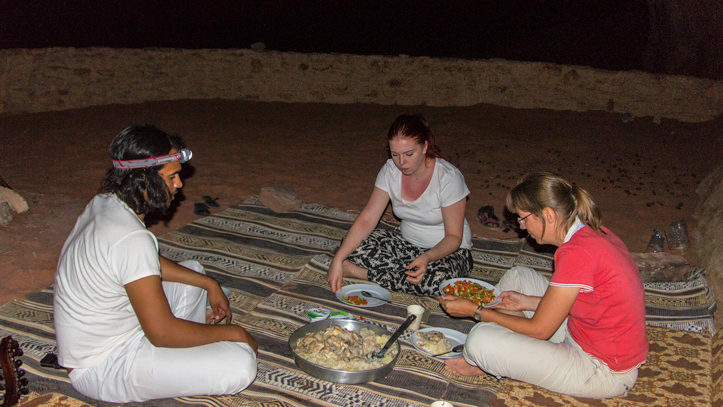 We can tell you about Bedouin culture and music or you can gaze into the starry night sky and enjoy the peaceful silence of the desert. Once it is time to sleep we will organise the mattresses on a carpet and provide you with your sleeping equipment. During the summer season, we provide a sleeping bag and sheet. For trekking outside the summer season we also provide a blanket and a bivouac tent for in case you prefer to sleep ‘inside’. The next morning you can wake up to the rising sun. We prepare you a breakfast. And after breakfast, we either continue your tour or return to Rum village. 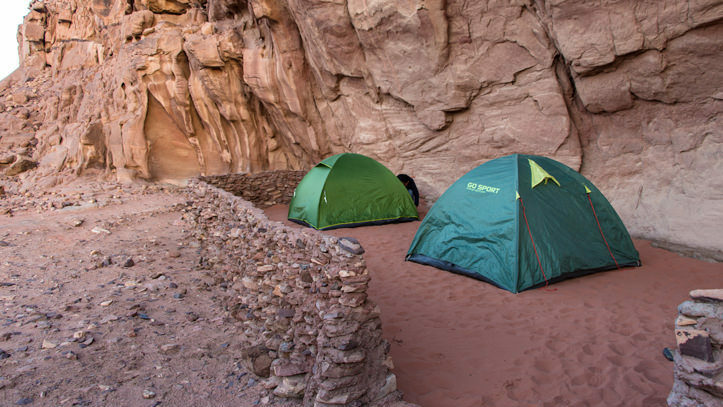 Bivouac camping is back to basics which means that bathroom facilities are not available. 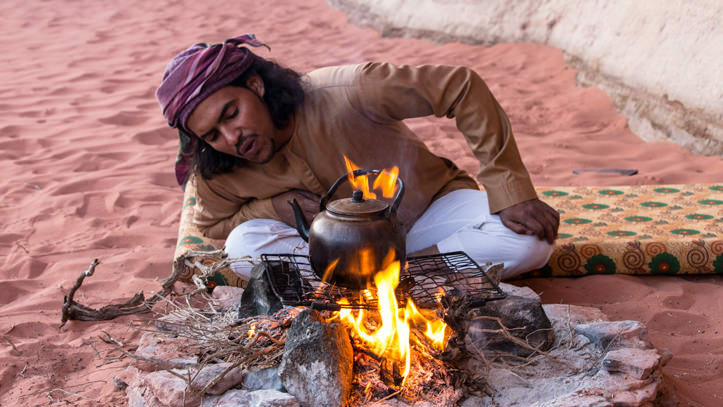 Bivouac camping is only available as part of one of our tours. 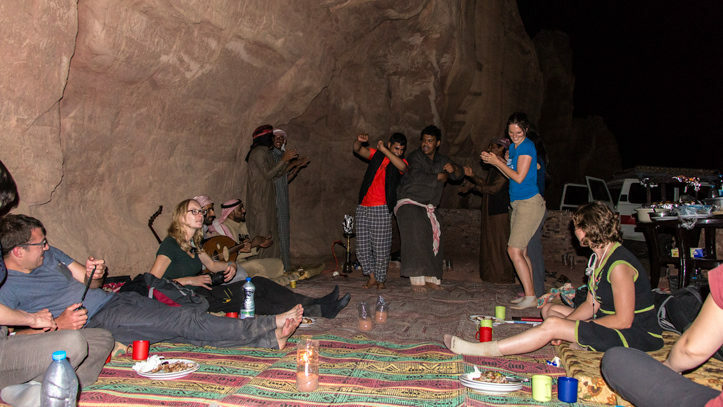 You can extend your tour with a pre- or post-night in our camp, Wadi Rum Base Camp.